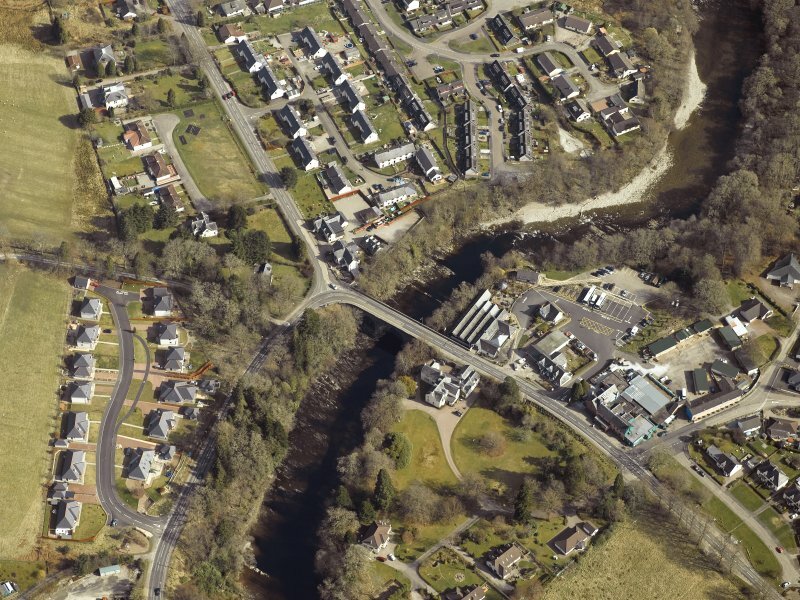 Oblique aerial view centred on the road bridge with the hotel and woollen mill adjacent, taken from the E.
Oblique aerial view centred on the road bridge with the hotel and woollen mill adjacent, taken from the SW.
Oblique aerial view centred on the road bridge with the hotel and woollen mill adjacent, taken from the WNW. 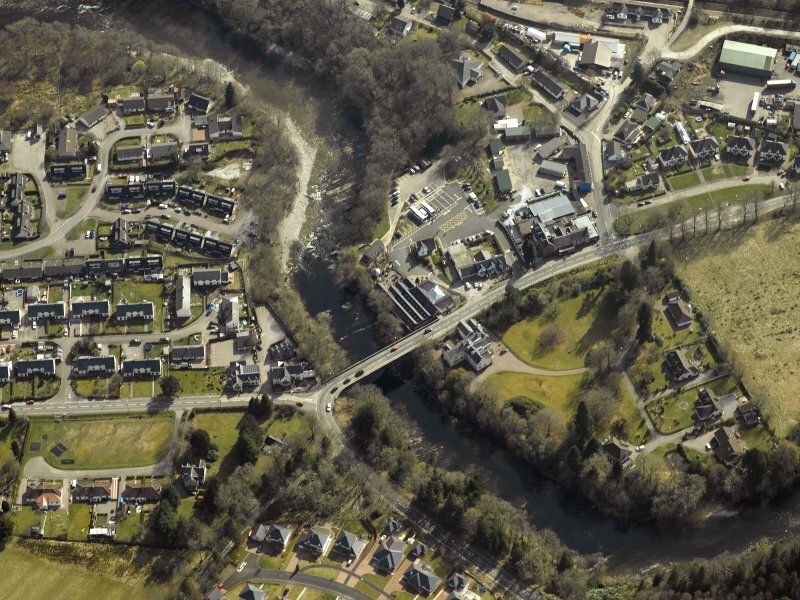 Oblique aerial view centred on the road bridge with the hotel and woollen mill adjacent, taken from the NNW. 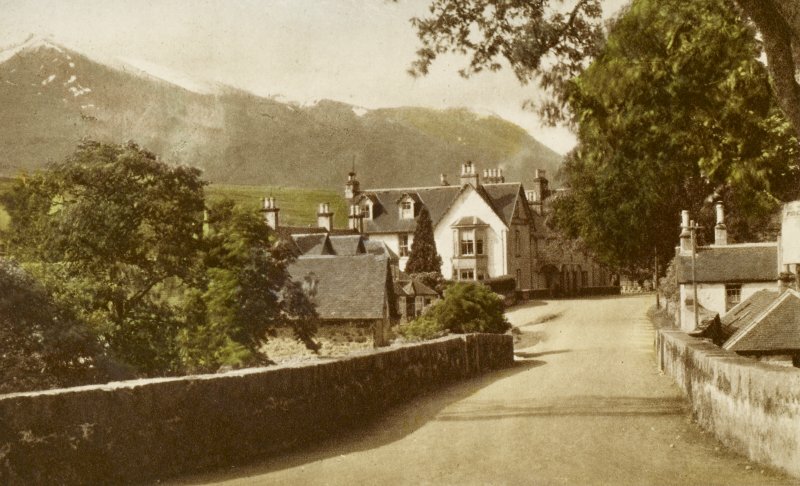 Inscribed: 'Hotel and Bridge, Spean Bridge'. 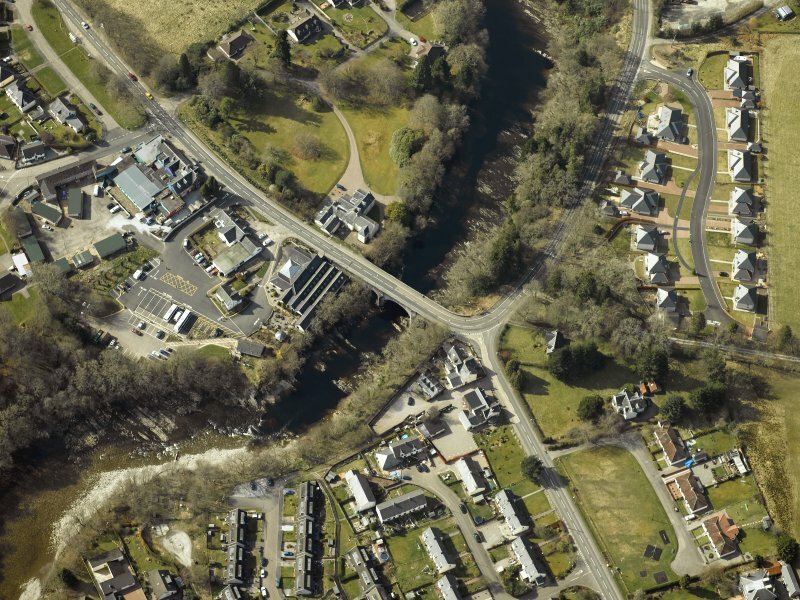 Oblique aerial view centred on the road bridge with the hotel and woollen mill adjacent, taken from the SE. 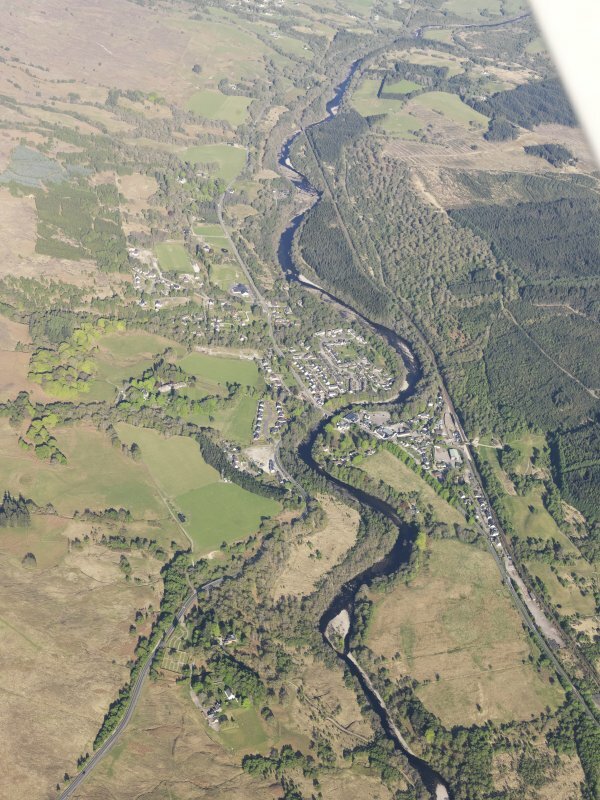 General oblique aerial view of Spean Bridge and Glen Spean, taken from the W.
Spean Bridge Originally Unachan (Market Place) and then New Bridge, Spean Bridge was a strategically-sited staging/trading post along the drovers' route, where Glen Spean and Braes Lochaber meet the Great Glen. 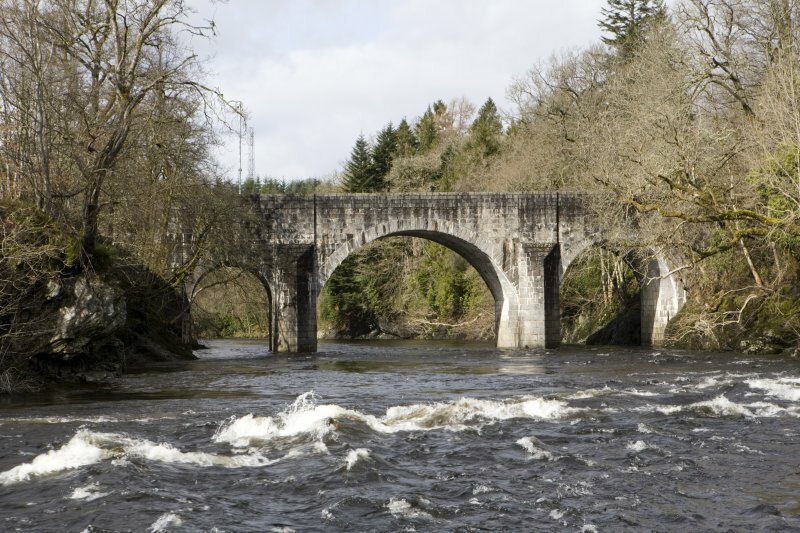 Telford's three-span bridge here, c.1819, superseded High Bridge just downstream. His road down Glen Spean, 'made with consummate skill and care' according to his friend, the poet Robert Southey, was completed in 1819. Not to be confused with General Wade's High Bridge (NN 20059 82108), for which see NN28SW 6. (Location cited as NN 222 817). 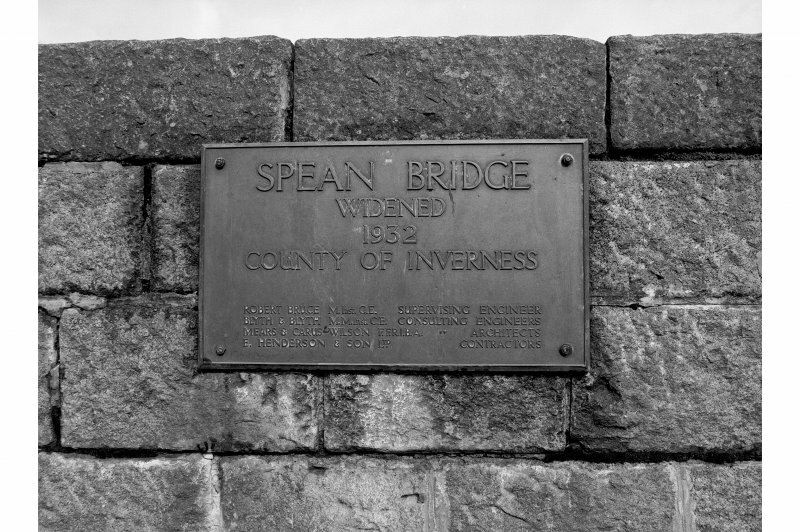 Spean Bridge, built 1819, engineer Thomas Telford. 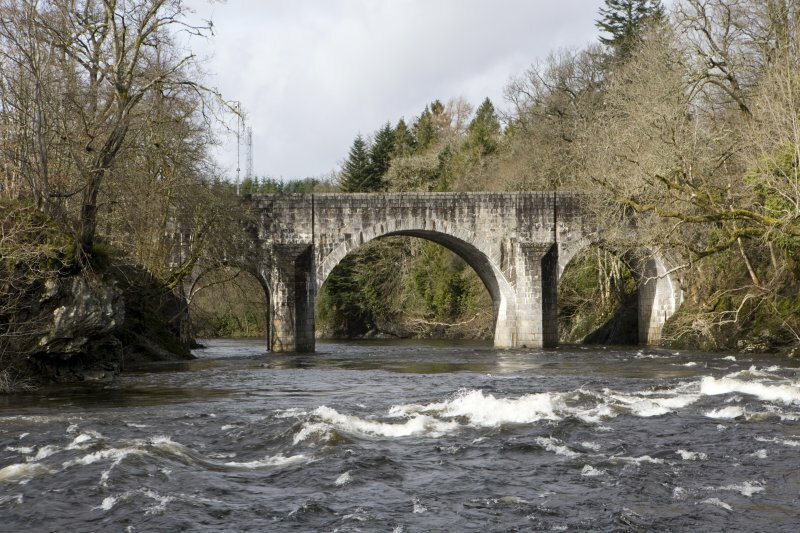 A 3-span bridge, with large central arch flanked by smaller arches, all segmental. 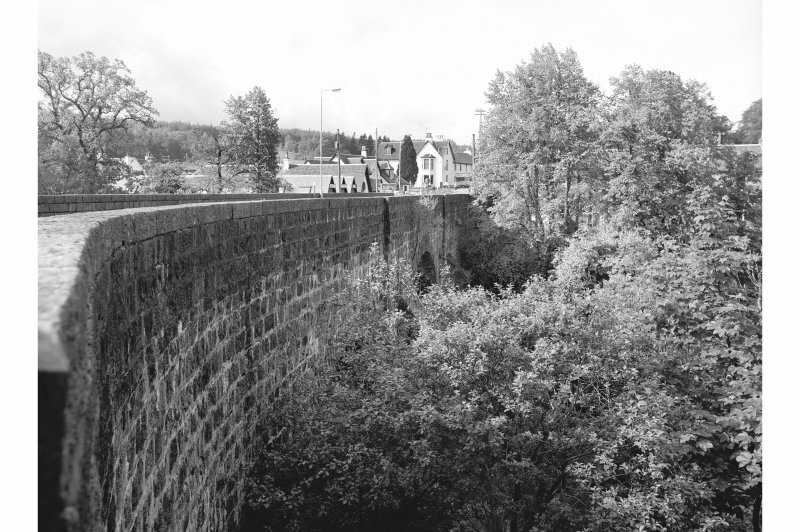 Widened in concrete in 1932. 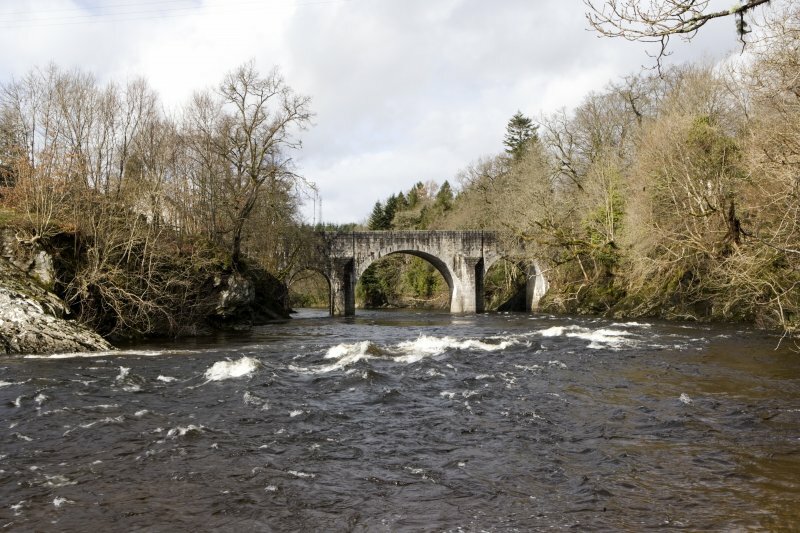 Bridge, by Thomas Telford, 1813. Three-span, with a big segmental arch flanked by two smaller ones. Widened in concrete, 1932. 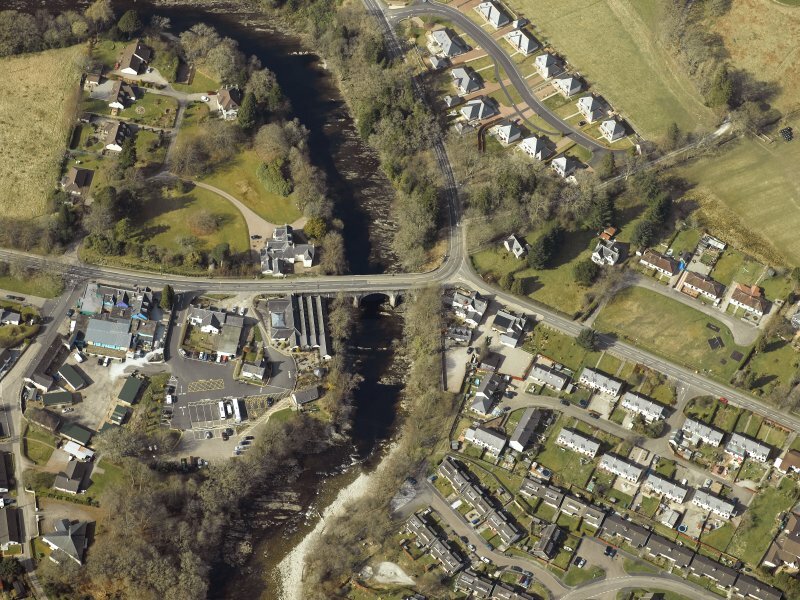 This bridge carries the A82(T) public road over the River Spean, within Spean Bridge village (NN28SW 16). 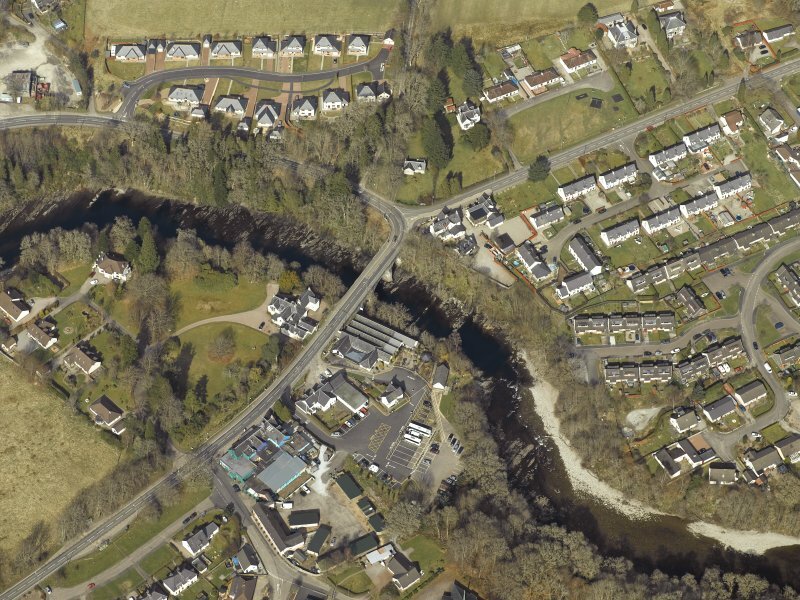 Spean Bridge, with its asymmetrical side arches, an unusual practice for Telford but dictated by ground conditions, was on the longest road built by the Commissioners east of the Great Glen. 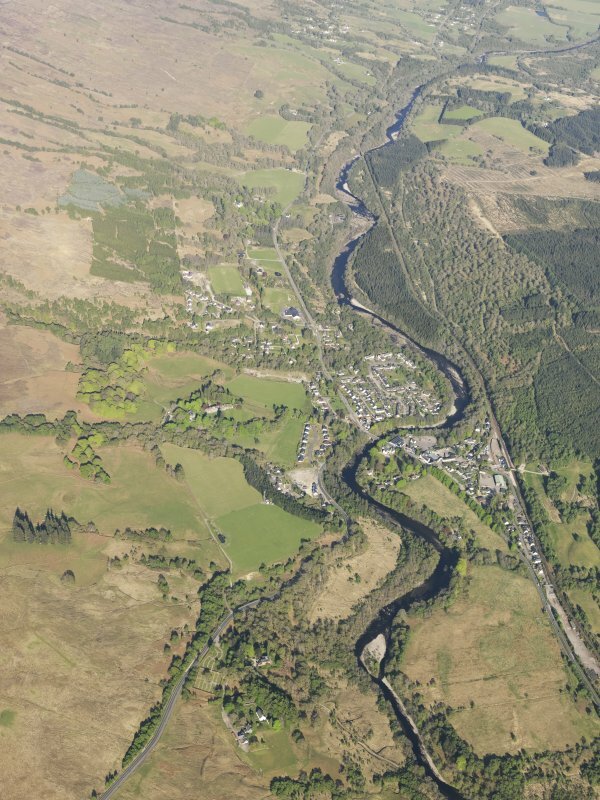 The 42-mile Laggan Road from the Badenoch Road, now the A9, to Fort William was built from 1810–18 for what the commissioners rewarded as ‘£23 293; an appalling sum’. 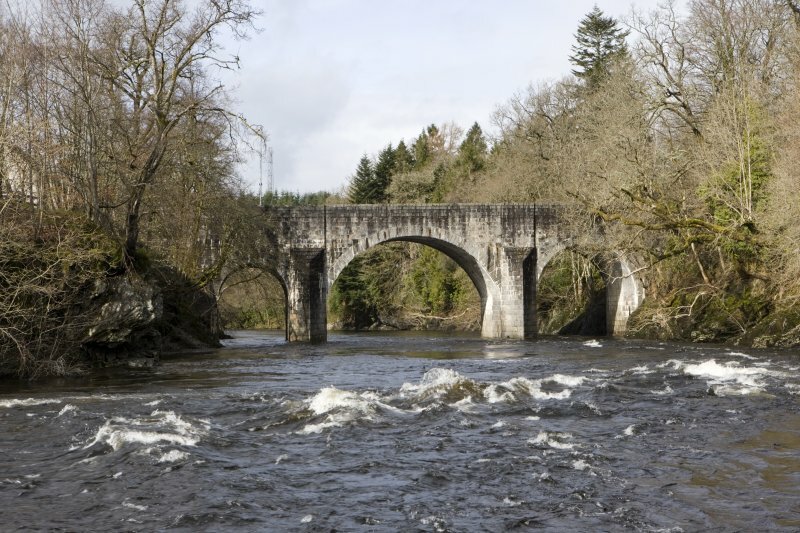 Incomplete work was swept away twice during construction before the contract for an enlarged bridge was completed by John Wilson in 1815 with spans of 30 ft, 50 ft and 20 ft. 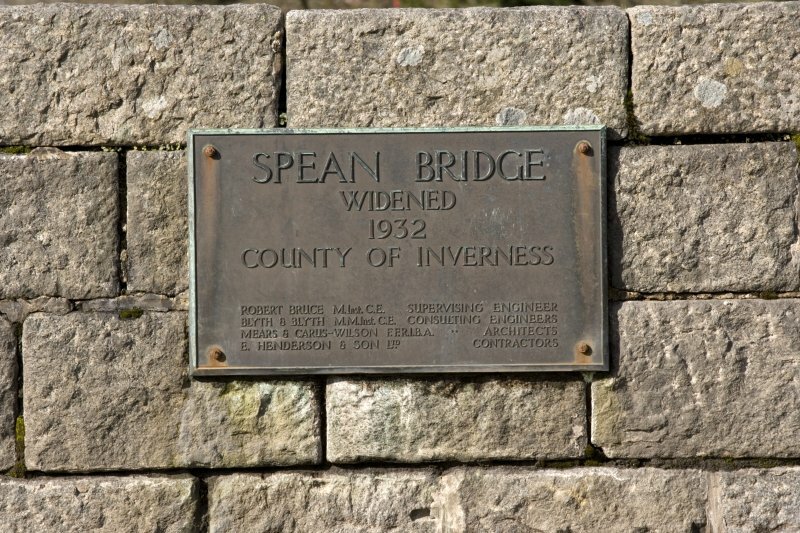 It was widened in 1932.